3D printing is no longer a technology for designers and engineers only, and as it continues to become widespread, it keeps on improving and its costs are reduced. 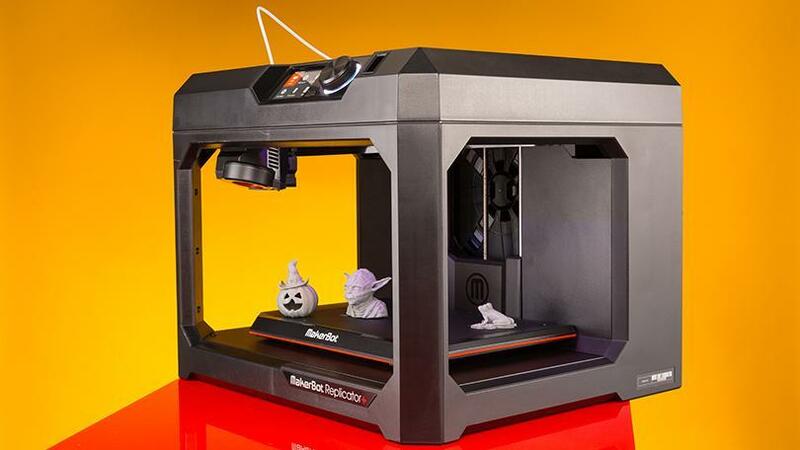 3D printing can’t be considered cheap, but it’s definitely becoming more and more affordable. So if you’ve got your mind set on buying your own 3D printer but you feel lost between all the terms, options, and information you need to digest, we’ve got this guide prepared for you to help you understand everything better. Before we get into details, ask yourself if you really need a 3D printer to begin with. If you just want to try the technology out or if you want to print something once a month or once in a while, it would be wiser to use an online service or find a location nearby. 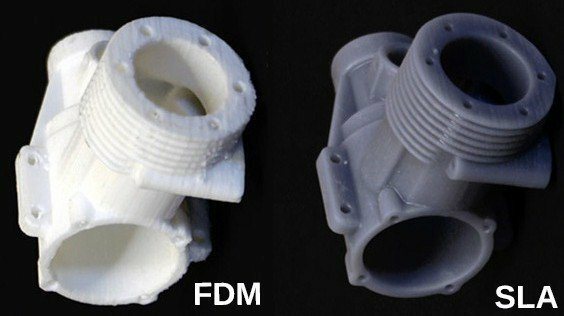 FDM vs. SLA 3D Printers: Which Should You Pick? The FDM is one of the most common 3D printing methods used in desktop 3D printing. What happens is that a filament is heated and extruded through an extrusion head that deposits the molten plastic in X and Y coordinates. Meanwhile, the build table builds the object layer by layer in the Z coordinate. It’s a pretty cost-effective means for rapid prototyping and product development in sectors like education or small businesses. Resin 3D printers work with stereolithography (SLA) technology. Read more: How to Design Parts for SLA 3D Printing. The layers of photosensitive liquid resin are exposed to a UV-laser beam in order for the resin to harden and become solid. Layers are then stacked on top of each other from the bottom up to form the final shape of your 3D model. Objects with overhangs 3D printed with a resin printer would require support structures, just like the case with FDM. Generally, resin 3D printers aren’t as easy to deal with such as FDM 3D printers. They’re also a little bit more expensive, so you should only buy them if you have a good reason. What are the types of 3D printer to consider? You want a printer to produce what you want at the quality that you expect. The major types are Stereolithography (SLA), Digital Light Processing (DLP), Fused Deposition Modeling (FDM), Selective Laser Sintering (SLS), Selective Laser Melting (SLM), Electronic Beam Melting (EBM), Laminated Object Manufacturing (LOM), Material Jetting (MJ), Binder Jetting (BJ), and Drop on Demand. If you’re a home user, two of the most popular options for you are FDM and SLA. If you want a high-precision and a smooth finish, go for the SLA. However, if you’re looking for the more affordable option then the FDM printer is the one for you. 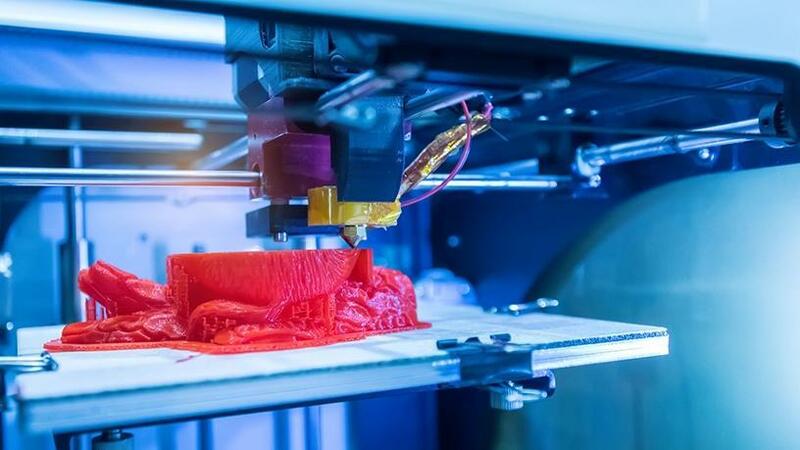 Check out the 10 types of 3D Printing technology in 2019. If you’re new to 3D printing, you’re probably not looking to print large objects with a lot of details. If you want to do that though, and you’re counting on selling your services, then the quality will be of utmost importance to you. Print speed: Includes 40-50 mm/s, 80-100 mm/s, and 150 mm/s. How important is print speed? A common conviction would be that the faster the print speed, the better, but that’s not exactly the case. This is because the faster the 3D printer prints, the lower the output quality as the details don’t take their sweet time being printed. Printing at a higher resolution generally takes more time, but the final output is of better quality and much smoother. Are you going to print multi-colored objects? You should be aware that not all printers are capable of printing in different colors. For a multi-colored project, you would need a 3D printer with multiple extruders. Where should you get your 3D printer? You can find 3D printers on Amazon, eBay, and a lot of other online services. If you’re really tight on a budget, you can even find secondhand options. This option is a little risky, however. What types of materials do you need for printing? There’s a wide variety of materials that you can print with and it all depends on your end goal. If you’re looking to 3D print instruments, toys, and kitchen appliances, you should print using Acrylonitrile Butadiene Styrene (ABS). If you want to print packaging, hygiene products, and fishing bait containers, go for Polyvinyl Alcohol (PVA). This material is water-soluble plastic, so it will dissolve in the water and release your bait. You can use PVA as a support structure to 3D objects during the building process. Finally, if you’re looking to 3D print surgical implants, food packaging, or disposable garments, you should opt for Polylactic Acid (PLA). It’s even more environmentally friendly than its rivals ABS or PVA. Before you get your material, you should know what the filament diameter is. Your printer could accept both sizes: 1.75 mm and 3 mm. However, most models work with only one. After you know which diameter size to buy, you can get the filament online. Usually, the filament is bought by weight and your options are spools of 750 grams, 1 kilogram, or 2.5 kilograms. 3D printer beds come in two variations: heated and non-heated. The bed plays an important role in how your 3D printed object will come out as it is what keeps the object steady. To keep your object secured, you should adhere it to the 3D printed bed before the 3D printing process begins. You can either use glues or preheat the bed. If you’re working with ABS filament, heating the bed is a necessary step. PLA filament gives you more flexibility as you can use either method. You should note that the bigger the size of the bed is, the bigger the objects you can print. Open frame or closed frame? An open-frame 3D is more exposed. This makes the printing process more conventional as it gives you more visibility of the active job. It also gives you quick access to the printer bed and the extruder. This may seem like the best option, but there are some drawbacks to it. You’ll learn about them when you consider the advantages of the closed-frame ones. Closed-frame 3D printers have a fully enclosed structure. This means you get a door, walls, and a lid. This makes it a lot safer than open frame ones. They protect you from accidentally burning yourself by touching the exposed extruder as well as reduce odors –something you’ll suffer a lot from if you’re printing with ABS. Closed-frames 3D printers also operate with more quietness and maintain temperatures in a more consistent manner. There are a lot of things to consider before you decide on the 3D printer that you’ll be buying –especially if it’s your first one. Once you have a budget range, think carefully about the kinds of things you want to print, the quality you’re looking for, and the amount of details you’re looking to add.